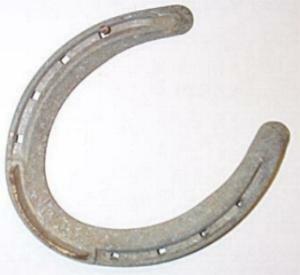 Can luck really influence the outcome of events? That question has captivated otherwise rational people for centuries—and challenged scientists to somehow prove whether lucky charms, special shirts or ritualistic behaviors hold special powers. They do. (Sometimes.) New research coming out in June suggests that a belief in good luck can affect performance. In a test conducted by researchers from the University of Cologne, participants on a putting green who were told they were playing with a “lucky ball” sank 6.4 putts out of 10, nearly two more putts, on average, than those who weren’t told the ball was lucky. That is a 35% improvement. The results suggest new thinking in how to view luck and are intriguing to behavorial psychologists. “Our results suggest that the activation of a superstition can indeed yield performance-improving effects,” says Lysann Damisch, co-author of the Cologne study, set to be published in the journal Psychological Science. The sample size, just 28 university students, was small, but the effect was big enough to be statistically significant. Believing in their own good fortune can help people only in situations where they can affect the outcome. It can’t, say, help people watching a horse race they have bet on. While the findings have not been published, this study could prompt psychologists to explore ways to tap into people’s belief in good luck. “Simply being told this is a lucky ball is sufficient to affect performance,” Stuart Vyse, professor of psychology at Connecticut College and author of “Believing in Magic: The Psychology of Superstition,” says of the new study. More Accuracy: Participants who were handed a golf ball and told, ‘Here is your ball. So far it has turned out to be a lucky ball,’ were 35% more likely to make a golf putt than participants who were told, ‘This is the ball everyone has used so far.’. When Anthony Overfield rides his motorcycle, he carries two passengers on board: so-called gremlin bells. The 46-year-old runs a Web site, New York Biker, and sells merchandise at bike shows statewide. Gremlin bells are his best sellers. Many bikers believe these small brass bells, mounted near the back of his bike, help ward off accidents. “My bike’s in good shape,” he says. “I’m healthy. I haven’t been involved with any altercations with vehicles.” In short, his good-luck charms seem to be working. Still, people often overestimate how much control they have over a situation. For a 2003 paper, researchers in the U.K. enlisted 107 traders at London investment banks to play a computer game simulating a live stock index. They were told that pressing the letters Z, X and C on the keyboard “may have some effect on the index,” when in fact it didn’t. Nonetheless, many traders had an illusion of control. This characteristic could have detracted from their job performance. Traders in the study who held the strongest false belief in control had lower salaries in real life, suggesting that excessive belief in their own control of “luck” may have hurt their trading decisions. Better Memory: with their ‘lucky charms’ on hand performed significantly better than those separated from their charms. Moreover, participants with their lucky charms reported that they felt 30% more capable than participants without the charms. Mathematicians have demonstrated the role that randomness plays in life—”there are no long-term successful craps players,” says Harvey Mudd College mathematician Arthur Benjamin. But don’t tell that to the people who believe they can shape their own luck. They’re well represented in games of chance, such as lotteries and casinos, and will be out in force at Saturday’s Kentucky Derby, in which a favorite is named, what else, Lookin At Lucky. On a recent rainy Sunday afternoon at Aqueduct Race Track in Queens, N.Y., Dennis Canetty was wearing a brown suit. Not an everyday, run-of-the-mill, ordinary brown suit. The retired Wall Street trader, age 61, was sporting his lucky brown suit to help the horse he co-owns, Always a Party, win the second race. The power of the suit is real and proven: Mr. Canetty was wearing it at the Preakness Stakes two years ago when Macho Again, another horse he co-owns, finished second as a 40-to-1 long shot. Even some otherwise calculating mathematicians hold irrational beliefs about luck. “I tell my class, ‘Don’t bother entering sweepstakes; it’s so unlikely you’re going to win,” says Joseph Mazur, a mathematician at Marlboro College and author of the book “What’s Luck Got to Do with It?” coming out in July. But then his wife entered him in a sweepstakes and he won $20,000. More Persistence: In an anagram game, in which participants had to make as many words as possible from a string of eight letters, participants with their lucky charms set higher goals (16 more words) and persisted longer (nearly 5½-minutes longer) than participants whose lucky charms had been removed. “There I was for months afterwards, entering every sweepstakes contest I could find,” he says. It was futile—he never repeated. Investors also are prone to superstitions. For example, during an eclipse, which many cultures view as a bad omen, major U.S. stock-market indexes typically fall, according to research conducted by Gabriele Lepori, assistant professor of finance at Copenhagen Business School in Denmark. This effect persists even after controlling for economic news and long-term trends. And the indexes usually bounce back soon afterward. But at Times False Confidence: In a stock-market simulation, 107 traders were told that pressing the letters Z, X and C on a keyboard ‘may have some effect on the index,’ when in fact it didn’t. Traders in the study who held the strongest belief that the keys made a difference had lower salaries in real life, suggesting that ‘luck’ may hurt their trading decisions. Still, he says he has some superstitions of his own to give his Mavs a boost, “but there is no chance I tell you; that kills them.” These may not have helped his team in the playoffs: Dallas trails San Antonio, three games to two.